Actually, I haven’t realized the problem of the battery life consumed by the SEVEN application for push Email while it runs in the background until I received a heads-up on this particular issue posted in a comment. 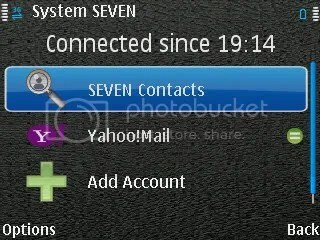 Again, I was curious and wanted to see wether using the SEVEN application in my Nokia E71 is a real batery drainer. I’ll leave my E71 on while charging and… well, I’ll just go to bed for now…G’d Night! I’ts almost the end of my office hours now, I’ve had a few voice calls (around 10 to 15 minutes in total), received 8 emails using SEVEN push email, and no bluetooth nor wifi activity, and I’m down to 5 of 7 bars of battery after last nights full charge.. I just turned my phone back on again, starting off the day with 3 bars of battery life, lets see how far it can go for the rest of the day..
it’s 13:52 and my battery have just run down to 1 bar left, I guess the this test will be over soon..
Well, I guess thats it for my Nokia E71 batery life. At exactly 15.47 my phone starts to show the low battery warning. 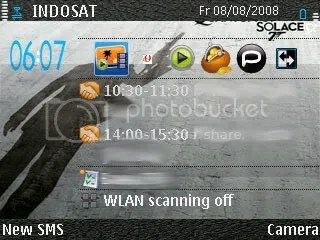 My count starts from the moment I unplugged the charger from my E71 which is at Thursday, Augst 7th ’08, 05:45 am. Continued at Friday, August 8th ’08, 06:07. Well, anyways, using the SEVEN application in the background seems pretty acceptable (for me that is) in terms of battery consumption in exchange for the ability to get push email. 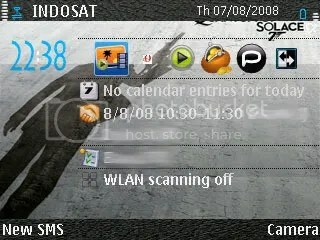 Anyone care to test how long your E71 goes without the SEVEN application running in the background? It wasn’t long since I started blogging. In my first few posts I just couldn’t find the right time between the time when an idea came to my head about a certain topic I wanted to share in my blog and the time I could pop out my laptop and start typing those thoughts I had. Sometimes ideas just come by when I’m not in front of my laptop, wether I’m sitting in a bus, cooling down in my gym’s lounge after a few workouts, in a taxi, or even during a call of nature (most of my ideas come at this particular moment!). Some of you might say “but there is no saving options for the active note application like you would find in office notes or office suite?so how can you save your unfinished drafts?” Actually you can save active notes, it’s by simply pressing the right button marked “Done” any time you wish to pause your burst of ideas and it automatically saves your last typing just like a normal save feature in office notes/office suit apps. The great thing about active post is that when I’m done writing an entry including the image attachments, I can send the entry to my laptop (via bluetooth) and the file transferred will be in a html format just like when you save a webpage in your desktop browser where all the pictures embedded in that page is saved in a linking folder. 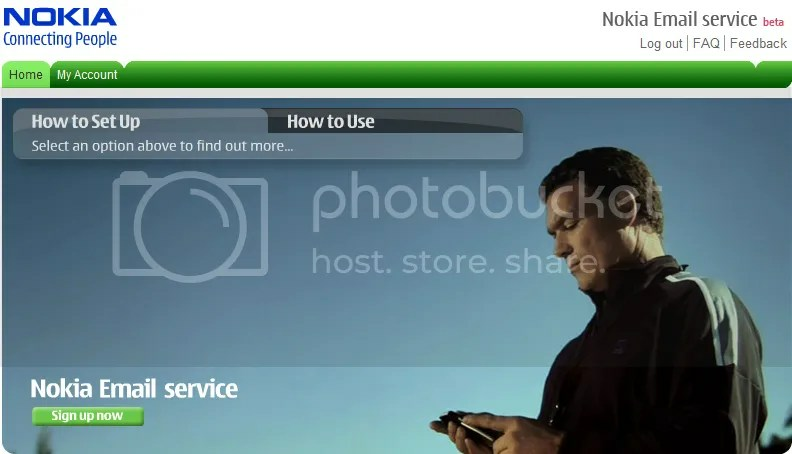 Next, I would copy the html addresses of the images from my photobucket and paste it in my WordPress post editor for publishing. I had high expectations for this application, because it seemed like an acceptable temporary application at least until there is an update for the Asian Firmware for smart search function that I’m missing. 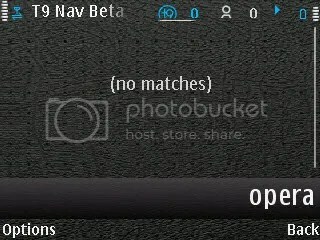 From the home menu I tried typing “opera”, but there was no result in finding my mini opera application. I also tried to find a name in my contacts but it wasn’t able to find any matching results. 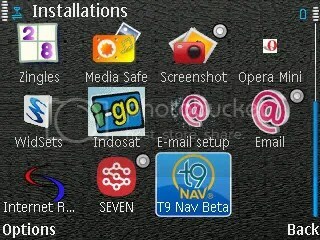 The reviews i’ve read in other blogs seems to have no trouble in enjoying the t9nav but most of them used other than a Nokia E71. 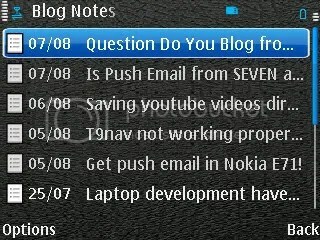 I guess I’m still going to have to wait for the firmware update..
I’m pretty sure all the power users out there have already used theese apps/services for getting push email in their own nokia E71, but maybe some one out there may find this post useful. We all know that our precious Nokia E71 has the ability to retrieve emails as this device is somewhat a Blackbery contender, but bare the fact when actually the email that we setup from the email wizard (I’m not talking about the Mail for Exchange App) is truly a PULL EMail rather than a PUSH EMail like what RIM Blackberry does. 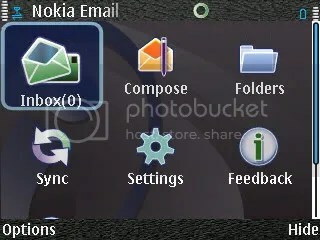 Although the Nokia E71 device allows automatic retrieval every 5 minutes it’s still called pull email because your device actually ‘pulls’ information of any new emails that you get in your mailbox and then retrieves the new mail contents to your handset. 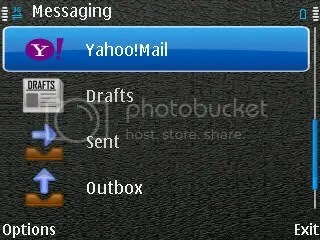 As I surfed around many blogs out in the net, I found two applications that offers PUSH EMail and I’m referring to the PUSH service as one expects in getting from RIM blackberry services. 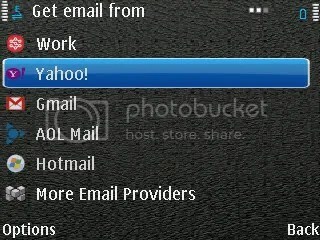 Please note that I use the free YahooMail account and it works as expected, I have not tried the YahooMail Plus!, I’ll leave it to you guys who has a YahooMail Plus! account. 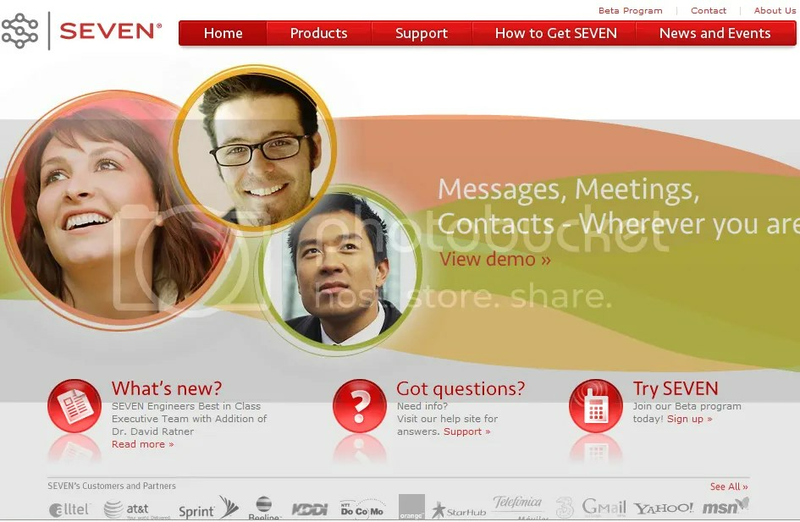 As a conclusion, I would recommend the Push Email service from SEVEN, but feel free to try out both coz after all the guys in nokia beta labs did try their best to deliver, the least we can do is try it out and send some feedback for future development. Laptop development have been an object of consumer’s demand in not only the sophisticated processing system but also the demand for design and lately a growing demand for laptop size. A more specific demand for mobility has emerged for users in need for simple access to the internet and entertainment media. More and more public hotspots in coffee bars and pubs has inspired gadget consumers to demand a simple and portable gadget just for the ease of accessing media and web browsing. Therefore instead of having to carry the general sized notebook in a oh-so-obvious laptop bag, people turn to small and portable devices like pda’s or other smartphones that are wifi abled so a quick reach from a pocket and voila! 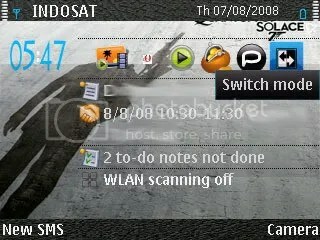 a direct and quick connection to the hotspot and on to their blog update or any social website profile. Then there comes the small sized notebook with moderate power for productivity but enough for entertainment, web surfing, basic word processing, or basic image editing. The term netbook was introduced by lntel in February 2OO8 to describe a category of low-cost and scaledown subnotebooks used primary for surfing the lnternet and performing other basic functions like word processing. These may be carried out using applications installed on a solid state drive or by the use of cloud computing services. So, lets all just sit back and relax and observe the new term “Netbook” as it develops in time to become a new powerfull meaning in the world of gadgets and technology. I rely a lot from this application. in fact, microsoft for exchange is one of the main reason I felt that I needed this device. lately my office emails became important and needs quick replies and responses, and the ability to open my office emails anywhere at anytime became quite urgent. So, this feature has a VIP place in my choice of smartphone feature. 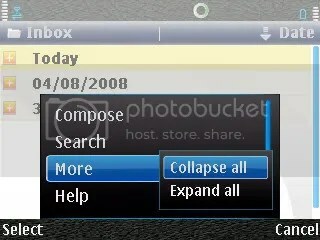 At first I used active notes for writing my blog entries, but soon I realized that it was a bad idea. In one of my blog entry attempt with the active notes application after some 3 to 4 paragraphs I accidently pressed a wrong button and everything was erased! From that on I started to depend on quick office coz like many desktop word processing programs, there is a manual save function that I’m most grateful of for avoiding more hair loss from brutally pulling my hair out from data loss distress. 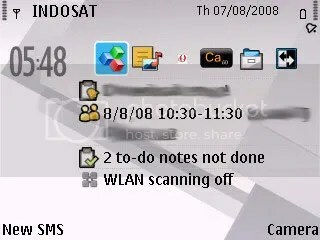 You can really feel the difference between using the calendar application in a normal width nokia handset and calendar in the wide screen in nokia E71. 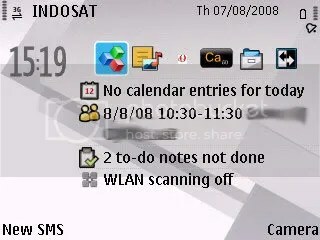 In the wider screen, the layout of the application for the month view mode is separated in 2 parts, the left part of the screen is for the calendar dates, and the right part of the screen is for the appointments or to-do notes for the certain date selected, similar is to the calendar application in nokia e90. The difference in screen size creates a whole new experience which gives much more fun in getting your schedules organized. I really am thankfull for the application developers in adobe for making a mobile version of flash player that not only plays SWF files but also plays FLV files. I like collecting videos from youtube especially gadget reviews and music videos. Usually after I download the FLV file from youtube I have to convert it to a 3GP file and then save to my handset for later viewing. 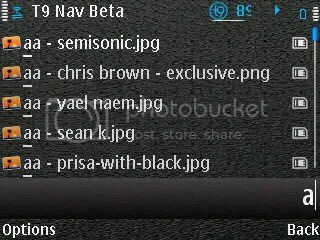 Now with flash lite 3.0 you won’t need to go through any file convertings, just download the FLV from youtube and transfer the FLV file from your laptop to your mobile and voila! Just select the video you want to play from the video gallery folder and there it is! All you have to do is sit back and relax and enjoy reviewing the videos anywhere you like using your mobile marvell. Earlier this year when I first came to jakarta a friend said to me in a boastful kind of way “Welcome to the jungle!” Well, truthfully he was right, being “blind” from the streets of jakarta I didn’t bother to go anywhere farther away from the transjakarta busway rout or from the Jakarta main streets. after experiencing nokia maps with GPS, I won’t be afraid anymore of being fooled by taxi drivers becouse nokia maps helps me show the shortest driving route to any destination I need to go to, or I can easily find a friend’s address and plan the route in advance. I’ll never be lost again in this big city with my GPS and nokia maps navigation. Okay, not much of a difference in the nokia music player experience here, and the usage is obvious. 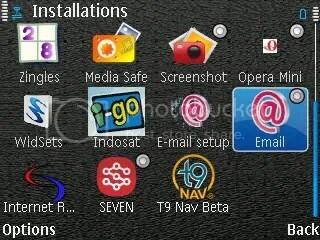 I can’t live fully mobile without this application installed. I mean the standard nokia browser is okay, but miniopera renders webpages faster and webpages are downloaded in smaller kilobytes. 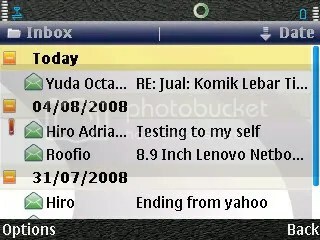 I sync my miniopera bookmarks so that when my Indosat IM3 connection is jammed, I can always switch to my cdma phone and use the miniopera in it with the same bookmarks and feeds as the one in my E71. But I really hate the small “o” icon for the application, I mean the size of the icon is nothing close to proportion against the other icons in the menu or even in the shortcut of the home screen applications. Please Opera! Can’t you just fix this small problem? 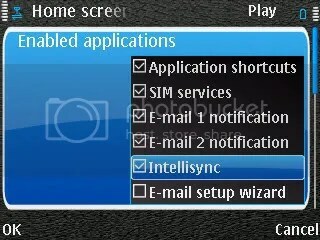 Or maybe anyone can share us some tips in customizing icons in a symbian s60 3rd edition OS? 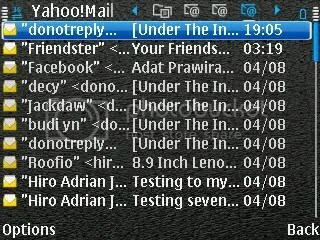 There are many instant messenger for mobile that combines multiple chat accounts in one interface for instance morange, mig33Plus!Ultimate, ebuddy, but I think Parlingo is the one that cuts the cake!it has a simple user interface and loads offline contacts faster then the other messenger I mentioned. Anyways, mobile chatting is most usefull especially if you regularly chat with friends as a cheaper alternative rather than sms texting. I use this app for recording all my daily expenses, it’s important to keep track of all the expenses you make regularly so that you can monitor your cashflow on a monthly basis, thus lets plan a head for future savings plan. 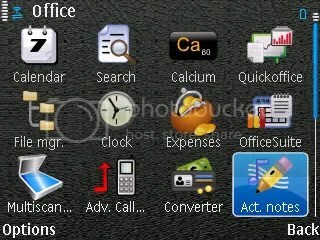 I prefer this application rather than handy expense just because I like the icon better! There is a new update on the Expense Application V.2. 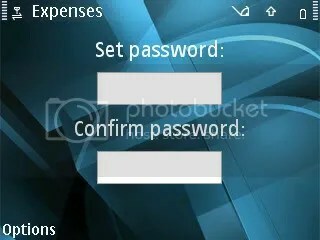 With the new Expense version, now you can set a password to avoid nosy friends who are playing around with your nokia E71 and wants to see how you spend your money! This is a great 3rd party application. 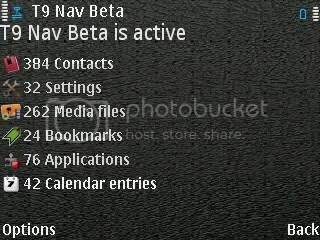 It’s highly recommended coz the simpleness of the interface compared to the standard calculator. It’s use is very simple, with fewer keys to push in calculating a given number it gets you answers faster,thus keeps you satisfied with yourself. 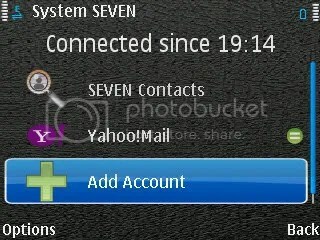 Messenger – Because many of my friends use Yahoo messenger so I don’t use my Microsoft Live Account. 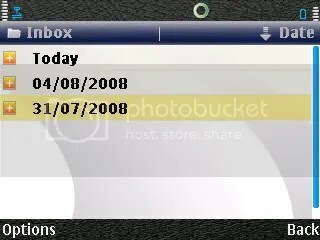 instant messenger – I don’t know how to set this one up either. adobe reader – I rarely read PDF files on my phone. Zip – I don’t extract any ZIP files either. Card Reader – I never could get the camera to scan the correct information from any of my contact cards.